New to Paleo? Start Here! This post may contain affiliate links. The price you pay as a consumer does not change, but I may make a small commission based on your purchase. Thank you for supporting Fit Happy Free! These Grilled Caramelized Pear Pork Chops have a tasty combination of flavors! The pork chops pair nicely with the pears and the onions. Top with fresh rosemary to add more flavor to this yummy Whole 30 recipe! Here’s another Whole 30-friendly recipe! This Whole 30 business is really inspiring me to make more recipes. And this was another yummy meal! I didn’t know how well pear would pair with pork chops, but I had a feeling it would be good. I was right! The pears add a good amount of sweetness and flavor to the pork chops. This was a fairly simple recipe. Preheat a grill to medium-high heat. Lightly oil the grates. Sprinkle both sides of the pork chops with salt, pepper and rosemary. Place the pork chops on the grill and cook for 5-7 minutes on each side, or until they are fully cooked. Heat the ghee and olive oil in a skillet over medium-high heat. Add the onions and garlic to the pan and saute for 2-3 minutes, or until the onions are translucent. Add the sliced pears. Cook for 10-15 minutes, or until the pears have become slightly browned and caramelized. Top the pork chops with the pear sauce and some fresh rosemary. Serve and enjoy! Welcome, and thank you for visiting! 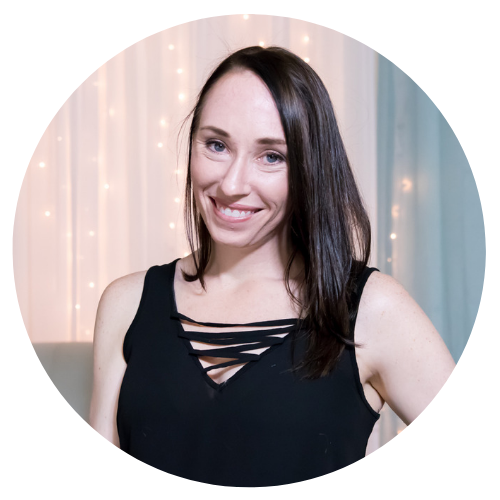 My name is Jordan and I am a food lover, an introvert, a crossfitter, a recovery warrior and a crazy cat mom living in Austin, Texas with my three cats. You might see them from time to time. My goal is to inspire a healthy lifestyle and to provide you with clean, whole-food and paleo-friendly recipes, and helpful health, fitness and recovery posts. Note: Fit Happy Free is a participant in the Amazon Services LLC Associates Program, an affiliate advertising program designed to provide a means for sites to earn advertising fees by advertising and linking to Amazon.com. All opinions are my own and I would never promote a product I don't love myself. Thank you for supporting the brands that support this blog. Disclaimer: I am not a healthcare professional. The information presented on this site is for informational purposes only and is not intended as medical advice. Please consult a healthcare provider before making dietary or lifestyle changes.